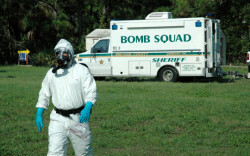 The Bomb Squad was formed in 1988. This unit is federally accredited by the Federal Bureau of Investigation. 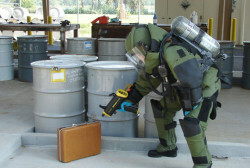 The squad’s responsibilities include disarming improvised explosive devices and assisting with investigations on all bomb related incidents. This includes incidents that involve Weapons of Mass Destruction i.e. suspected anthrax.